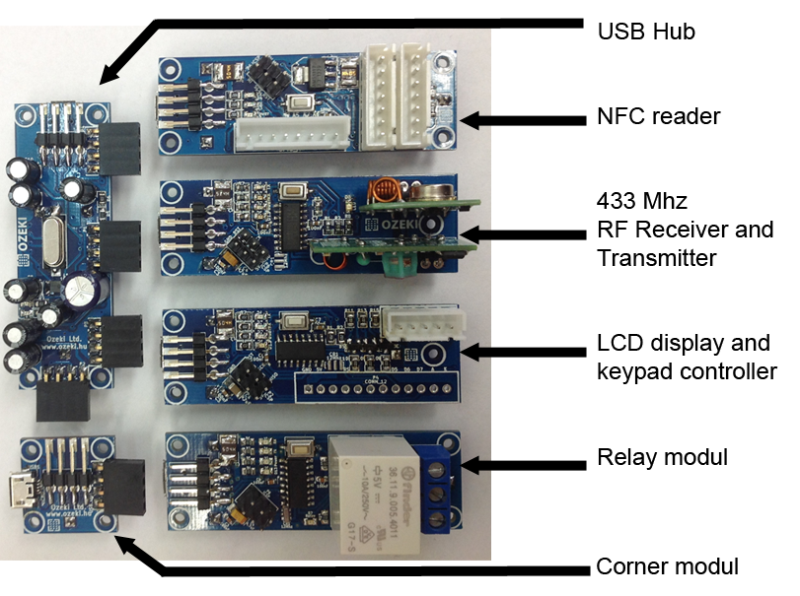 The programmable modules are the Ozeki NFC Host, Ozeki 433Mhz RF Module, Ozeki Display Module and Ozeki Relay Module. Each contain an Atmega 328p microcontroller so you can program them separetly like an Arduino Nano using the Arduino IDE environment. But you should be aware that not every pin is led out from the 328p chips so they have less pinouts then an Arduino Nano. As a reference you can check out the Arduino Nano specifications. A reset button can also be found on each module just like on the Arduino Nano. Each programmable module connects to PC via seperate USB to serial converter chips (CH340G). But physically this is just one micro USB cable. The same that is used for connecting smartphones and PCs. 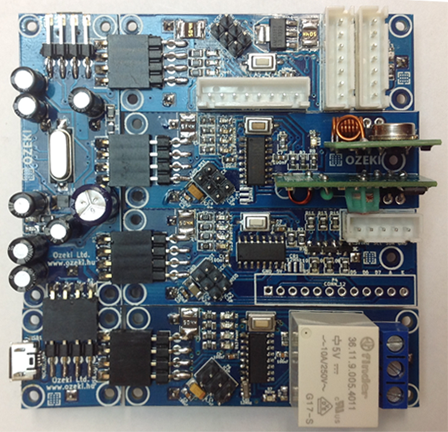 Instead of connecting the 6 modules, you can have the whole door controller on a single PCB. Below we have provided the download files for manufacturing. If you decide later on that you would like to build something else, you can always cut the panel and create seperate modules.